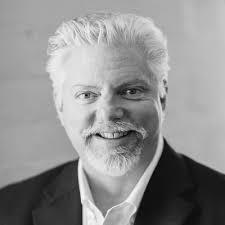 Timothy Bush is the host of the popular podcast; "On The Shelf: How To Get Your Products Into Big Box Retail" and the Owner of TLB Consulting, a company which has specialized in connecting companies and their products with Costco and other large retail chains since 2009. Mr. Bush's first hand knowledge of Costco makes his company a destination for individuals and companies looking to understand this large retailer. Prior to this Mr. Bush held the position of Vice President of Sales for Mac at Home, a collapsible indoor furniture company and Director of Sales for Human Touch where he managed the US retail, internet and catalog business for the #1 Robotic Massage chair company in the US. Prior to this Mr. Bush was Owner of Oreck Stores of Los Angeles LLC., a three store Oreck franchise. Prior to this, Mr. Bush served as the Director of Stores for Oreck Corporation where he had full strategic, operating, and P&L responsibility for the daily management of Oreck's Company Store Division. He was involved in negotiating and implementing Oreck's “store-within-a-store” partnership with Bed Bath & Beyond and other key initiatives. Prepare you for meetings, conference calls and other correspondence. Help you make marketing and packaging decisions prior to any meetings. Work with you on pricing and alert you to hidden costs that can rob your margin down the road. Help you analyze your business model/PNL and make recommendations to maximize your partnership with the retailer. Help you find the right retailer for your product both in the US and abroad. Get you talking to the right person immediately. Save you valuable time and money. Cut through red tape and get your products to market fast. Conduct store visits and evaluations. Help supplement your sales department. Put my expertise, connections and experience to work for you and lets sell some product!